The Indian Institutes of Management will conduct computer-based Common Admission Test 2018 (CAT 2018) on 25 th November, 2018 in two sessions. Check Below Important Timelines of CAT 2018 Online Test. 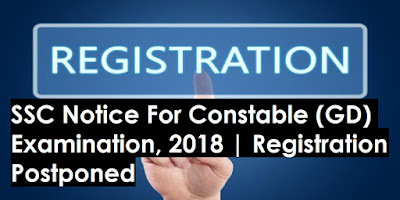 Staff Selection Commission has released Important Notice for Candidates of Constable (GD) Examination, 2018. Now online applications would commence w.e.f. 17-08-2018 at 10 AM. Dear Students, Railway Recruitment Board(RRB) is in all set to conduct ALP(Assistant Loco Pilot) and Techncians 2018 Fisrt Stae CBT(Computer Based Test) from 09th August 2018. We are sharing RRB ALP & Technicians 2018 Exam Dates & Shift Timings. Dear Students, Bank of Baroda PO 2018 Online Test is conducted today on 28th July 2018 across the country. Exam is over now. We are sharing detailed Exam Analysis & memory based questions asked in the exam. 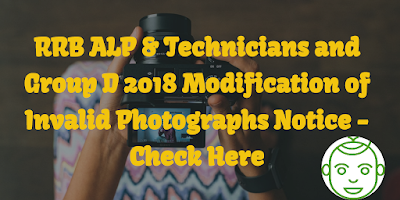 Dear Students, Exam Date & City Name of Railway RRB ALP(Assistant Loco Pilot) & Technicians 2018 Online Examination can be seen now with your User Id & Password. 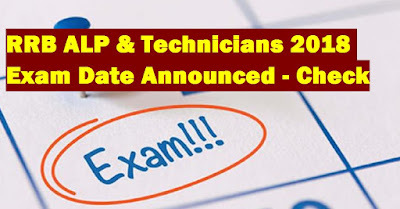 RRB has released Notice on Section wise marks for First Stage Computer Based Test (CBT) of CEN 01/2018 (ALP & Technicians Posts). 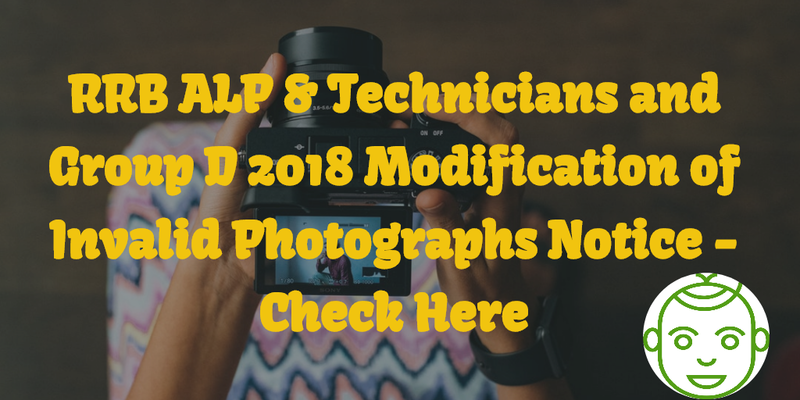 RRB ALP & Technicians 2018 Online Test is held on 09th August 2018. 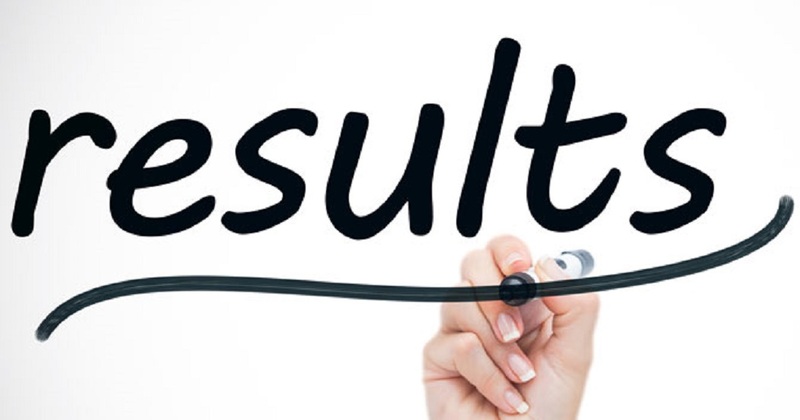 Dear Students, Score Card / Mark Sheet / Results of SBI Clerk Prelims 2018 Online Examination conducted in the last week of June 2018 has been released. 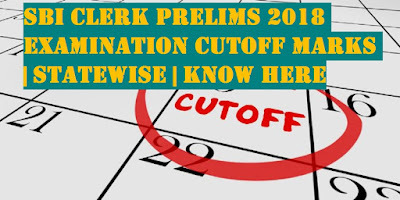 Now we are sharing SBI Clerk Prelims 2018 CutOff state-wise which required to qualify for SBI Clerk Mains 2018. 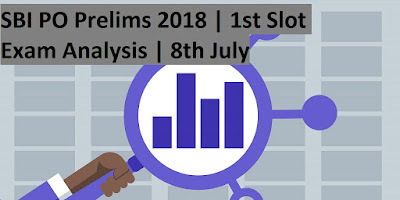 Dear Students, Most awaited SBI Clerk Prelims 2018 Result has been declared now. 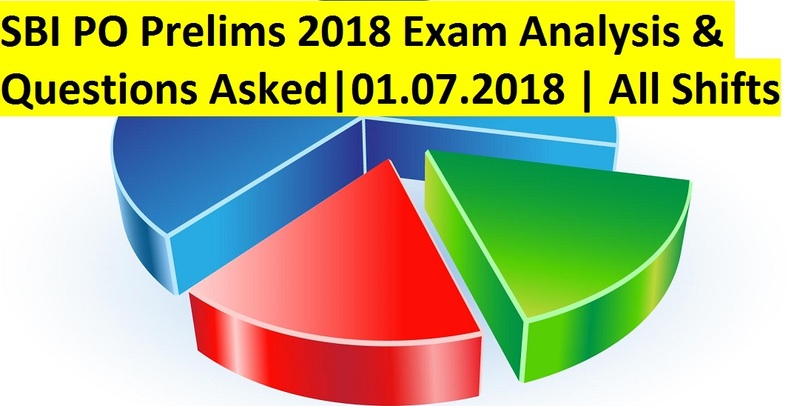 Online Preliminary 2018 Examination was conducted in last week of June 2018. 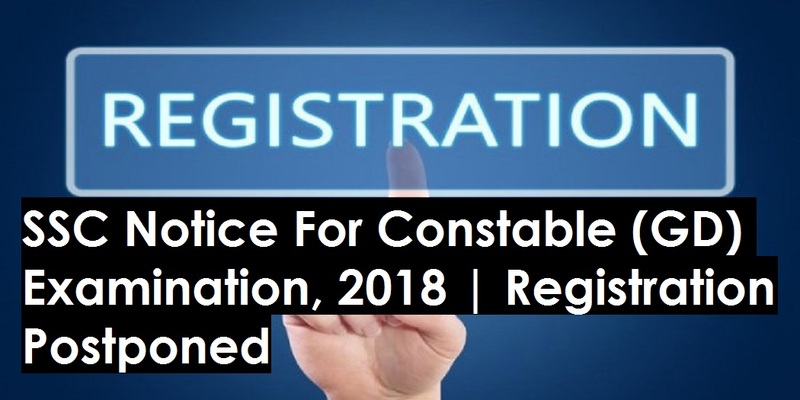 Candidates of Constable (GD) in CAPFs, NIA, SSF and Rifleman (GD) in Assam Rifles Examination, 2018 may please note that the facility for submission of online applications for the said examination, which was scheduled to be made available to the candidates, on the new website of the Commission from 24-07-2018, could not be done, due to a major technical problem. Dear Students, SBI PO Mains 2018 Online Examination is scheduled to be conducted in the first week of August 2018. We are sharing SBI PO Mains 2018 Exam Dates & Shift Timings. 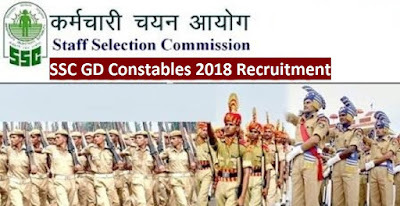 SSC invites online application for the recruitment of GD Constables. Eligible and Interested Candidates may apply online before or on 20th August 2018 as mentioned in Employment News. 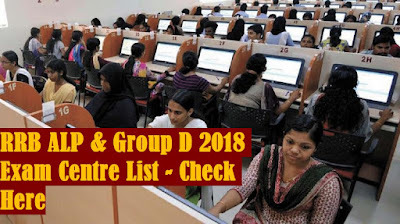 Government of India, Ministry of Railways Railway Recruitment Boards has released Notice on First Stage Computer Based Test (CBT) of CEN 01/2018 (ALP & Technicians Posts). 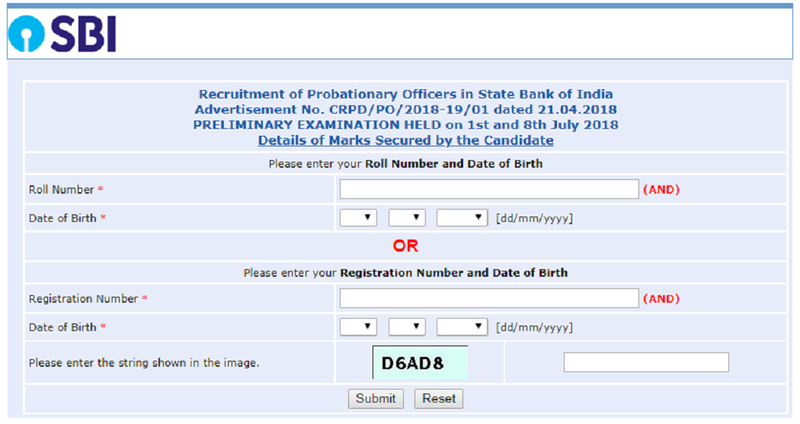 State Bank of India has released Online Main Exam Call Letter for the Recruitment Of Probationary Officers. 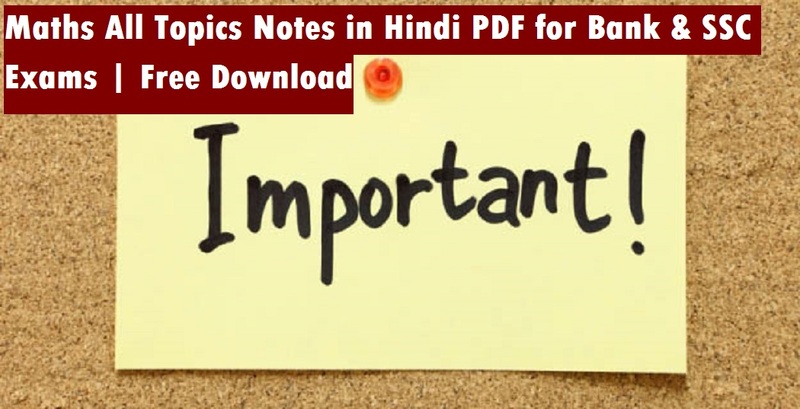 Registration No / Roll No & Password / DOB(DD-MM-YY) are required to download SBI PO Mains 2018 Call Letter. Dear Students, Score Card / Mark Sheet of SBI PO Prelims 2018 Online Examination conducted on 1st July 2018 & 8th July 2018 has been released. Now we are sharing SBI PO Prelims 2018 CutOff which required to qualify for SBI PO Mains 2018. The Staff Selection Commission takes pride in announcing the launch of a new website which is being made live today. However, the existing website will also continue to be accessible through a link on the new website. 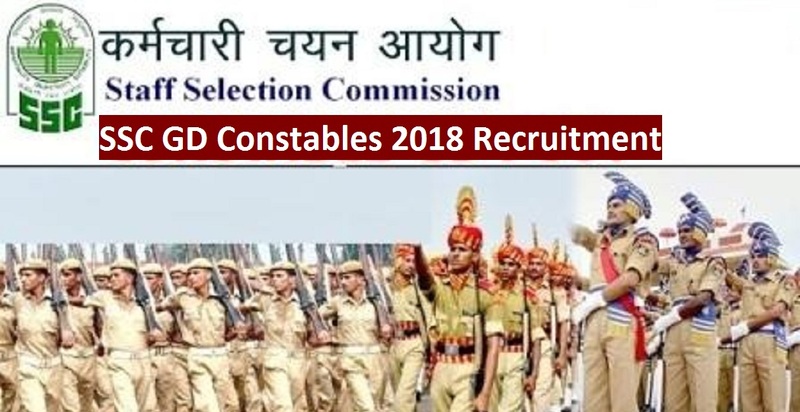 Staff Selection Commission(SSC) has released status of application for Recruitment to the post of Sub Inspector in Delhi Police, CAPFs and ASI in CISF, 2018". Registration Id & Date of Birth are required to check your application status. Dear Students, State Bank of India has released Details of Marks Secured by the Candidate in the PRELIMINARY EXAMINATION HELD on 1st and 8th July 2018 for the Recruitment of Probationary Officers. 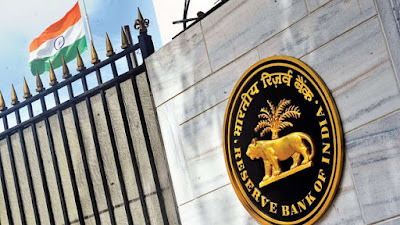 RRBs have decided to give a one-time opportunity to those candidates, whose photographs have not been found valid, to modify their photographs. Candidates may either login to the application status link on the website of RRBs or through the link available in the email sent to them and upload proper passport size photograph as per requirements. AIRPORTS AUTHORITY OF INDIA, NEW DELHI invites application for the appointment of 908 Manager and Junior Executives. Eligible & Interested Candidates may apply before or on 16th August 2018. 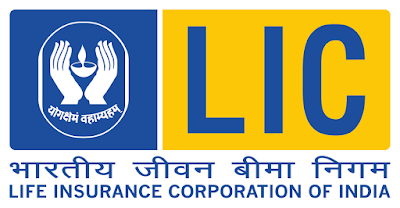 Life Insurance Corporation of India(LIC) invites online applications from eligible Indian Citizens for appointment to the post of Assistant Administrative Officer(Generalist). Candidates are required to apply Online Only. No others means/mode of application will be accepted. The New India Assurance Company Ltd., a leading Public Sector General Insurance Company, invites applications from eligible Indian Citizens 'for recruitment of 685 Assistants in Class III cadre from open market. 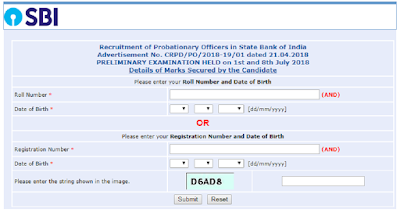 State Bank of India has released Result of the Written test (Phase - I) for the Recruitment of Probationary Officers in State Bank of India Held in July 2018. Registration Numbers of Candidates Shortlisted for Phase - II(Mains Examination) has been released in the PDF. Dear Students, SSC CHSL 2017(Tier-2) Examination conducted on 15th July 2018. We are sharing Essay & Letter Writing Questions which have been asked in this examination. 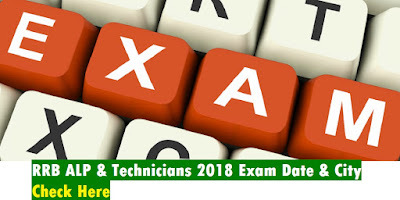 Dear Readers, We are sharing Exam Centres of Railway ALP & Technicians 2018 Online Test as well as RRB Group D 2018 Online Examination which has been announced by Railway Recruitment Board. Online Test is scheduled to be conducted in August/Spetember 2018. Result of the CIVIL SERVICES (PRELIMINARY) EXAMINATION, 2018 is released today on 14 July 2018. Result is available on WWW.UPSCONLINE.NIC.IN. Staff Selection Commission declared the result of Combined Higher Secondary Level (Tier-I) Examination, 2017 on 15.06.2018. Now the SSC has decided to upload the marks of 26,57,468 candidates who appeared in Tier-I of Combined Higher Secondary Level (Tier-I) Examination, 2017. STAFF SELECTION COMMISSION has released REVISED ANNUAL CALENDAR OF EXAMINATIONS (TENTATIVE) TO BE HELD DURING THE YEAR 2018-2019 (upto March-2019). CIL is looking for dedicated and enterprising Medical Executives to work in Subsidiary companies/ coalfield Areas Hospitals/Dispensaries. If you are ready to accept the challenge and meet CIL’s requisite criteria, this is your best opportunity to join CIL. 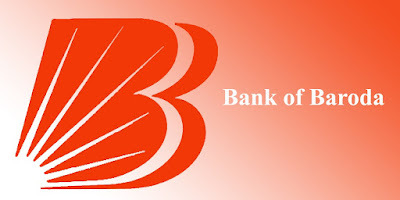 BHEL invites applications for Project Engineers (BE/BTech)/Supervisors (Diploma Holders) with one year of relevant experience , are to be engaged on Fixed Tenure Basis for a period of one year and Supervisor (Electrical) for two years for Electronics Division at Bengaluru / anywhere in India at their Project Sites. BSF invites application for the recruitment of Technical Posts (Group ‘C’ Combatised). Eligible & Interested Candidates may apply before or on 23rd July 2018. 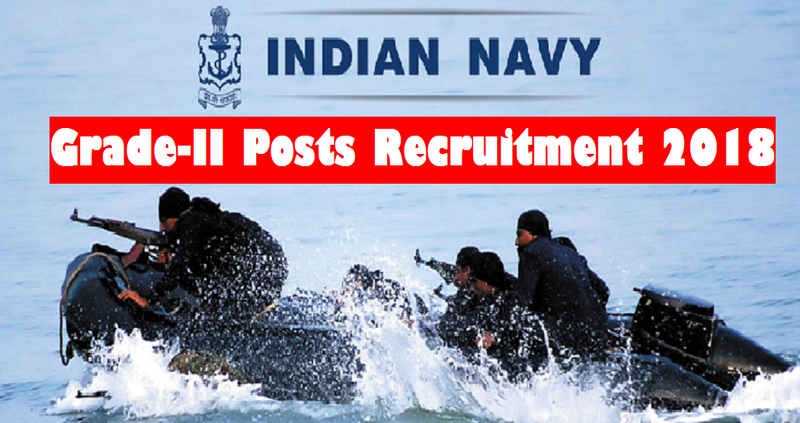 Flag Officer Goa Naval Area invites applications for the below mentioned posts classified as Group ‘C’, Non-Gazetted Non-Industrial from the eligible candidates to apply online through website www.hqgnanavyciviliansrect.com for the posts of Civilian Motor Driver Grade-II. MECL invites applications from eligible and interested candidates for the recruitment of Deputy General Manager, Manager Assistant, Foreman etc. Candidates may apply before 16th August 2018. DSSSB invites Online Applications for the recruitment to the post of Teacher (Primary) under MCD. Only online applications will be accepted. Applications received through any other mode shall be summarily rejected. Railway Recruitment Board(RRB) has updated the application status of candidates applied against CEN 01/2018 and CEN 02/2018. The link shall be live from 12.00 hrs of 11.07.2018 to 23.59 of 20.07.2018. SSC has released Important information for the candidates selected to the post of Junior Translator in Indian Audit and Accounts Department (IA&AD) (offices under C&AG) through Combined Recruitment of Junior Hindi Translator, Junior Translator, Senior Hindi Translator and Hindi Pradhyapak Examination, 2017. MPPSC Mains 2018 Offline Examination is scheduled to be conducted from 23rd July 2018. We are sharing exam dates & shift timing of MPPSC Mains 2018. Dear Students, Admit Card of MPPSC State Service Main Examination 2018 has been released now. You may download your admit card from the link given below. Offline Exam is scheduled to be conducted from 23rd July to 28th July 2018. Staff Selection Commission(SSC) has released Admit Card/Call Letter/Hall Ticket for SSC JE(Junior Engineer) 2017 DV(Document Verification) Test which will be conducted from 11th July 2018 to 13th July 2018. Staff Selection Commission(SSC) has released Admit Card for SSC CHSL 2017(Tier-2) Test which will be conducted on 15th July 2018. 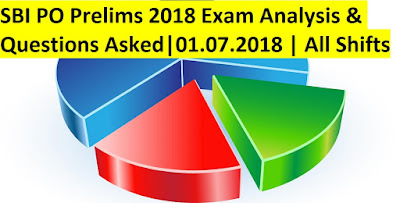 Dear Students, We are sharing Question Paper of SSC CGL 2017(Tier-3) Examination which was conducted on 08th July 2018. ESSAY Writing Asked: How far demonetization has achieved its objective? Dear Students, 1st slot of SBI PO Prelims 2018 Online Examination is over now, it was conducted from 9am to 10am. Reporting Time at the Examination centre was at 8am. Now We are sharing detailed exam analysis. 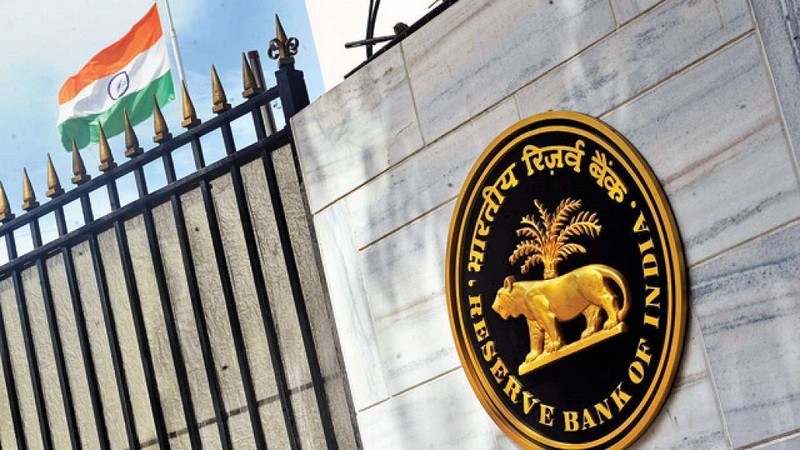 Dear Students, Online Application Link of RBI Grade-B Officers Recruitment 2018 has been activated now. Eligible and Interested Candidates may apply online in due dates. Dear Students, We are sharing direct PDF link of all topics of Mathematics which generally ask in Bank and SSC Exams. These all questions are in PDF format. Staff Selection Commission(SSC) has released Detailed Option form(Final option form) for the Posts of SSC JE (Civil / Electrical / Mechanical and Quantity Surveying & Contract) Examination 2017. Reserve Bank of India(RBI) has releaesd notification today on 3rd July 2018 for the recruitment of Grade-B Officers[Gr B-(DR)-General] & DEPR/DSIM. Selection for the mentioned posts will be done through ONLINE examinations in Phase - I and Phase - II and interview. TELANGANA RESIDENTIAL EDUCATIONAL INSTITUTIONS RECRUITMENT BOARD(TREI-RB), HYDERABAD has released Notification for GENERAL RECRUITMENT to the POST GRADUATE TEACHERS(PGT) & TRAINED GRADUATE TEACHERS(TGT) IN RESIDENTIAL EDUCATIONAL INSTITUTIONS SOCIETIES. Indian Coast Guard Invites Online Applications from male Indian nationals possessing essential educational qualifications and age limit for recruitment to the post of Navik (General Duty) in the Indian Coast. Dear Students, We are sharing detailed exam analysis of today's SBI PO(Probationary Officer) Prelims 2018 Online Examination(1st July 2018). 1st Slot was scheduled from 9am to 10am.